Below is a list of the easiest freshwater plants to keep in the aquarium. This list has been hand selected from hundreds of plants. In addition to easiness of keeping, these plants have been optimised to be low price, high availability and very aesthetic. All of the plants below can be maintained in low lighting setups without fertilisers. If you were deciding to make the switch to a planted aquarium, feel safe knowing the suggestions below are all excellent beginner plants. Needle Leaf Java Fern attaches itself to the driftwood in this aquarium. Java Fern and needle leaf Java Fern are two of the easiest freshwater plants that beginners can keep in their aquariums. Java Ferns are usually much larger than Needle leaf Java Fern. Java Fern has larger leaves and also requires less light. They are also generally less expensive and readily available at aquarium stores. Needle Leaf Java Ferns have thinner leaves and are rarely found in local stores. This often results in the plant being more expensive. Needle Lead Java Ferns can often be purchased off other aquarists. Aside from this both ferns have a rhizome at their base and can be glued or attached to wood or hard scape within the aquarium. They do not or should not be placed in the substrate as they will rot away. Java ferns are very tolerant of all kinds of water conditions. They are also very tolerant of lower light levels. This makes the Java Fern a perfect solution for the beginner wanting to try freshwater plants. 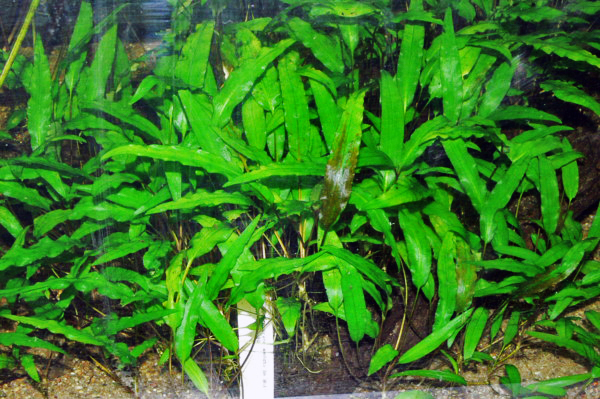 Java ferns are inexpensive and can often be purchased in a range of sizes for small aquariums or larger aquariums. Java Ferns will not require any liquid fertiliser supplements or plant specific substrates. Narrow Leaf Java fern can be spotted on the left and right driftwood toward the surface. Java Fern will grow quickly in the aquarium. It’s base or ‘rhizome’ can be split into two by using a sharp blade or scissors. The plant will quickly regrow producing more leaves but now in two seperate locations of the aquarium. This can be done time and time again to produce a tank that is populated by many Java Ferns. Most hobbyists will find that eventually the tank is almost over run by this plant and they will begin either selling it, giving it away or simply throwing it out with maintenance. You can probably see why this plant is so readily available. Java Fern and needle leaf Java Fern are both Middle Ground plants. They look best when kept on Driftwood or rocks in the centre of the aquarium. They can also be placed further forward as a foreground plant. Anubias & anubias Nana are two more of the easiest freshwater plants to keep in the aquarium. Anubias is most commonly sold on driftwood or rocks in the aquarium store. Unlinke Java Fern, anubias Grows very slowly it is therefore important to buy a specimen that is more appropriate to your size of aquarium. A garden of Anubias in a low tech setup. Anubias Nana Leaves are similar with a quarter the diameter and can be seen in the foreground on the left. Once purchased ensure to keep the anubias above the substrate and do not bury its root base in the substrate. The Anubias should be kept in the shady area of the tank with good flow to avoid algae growing on it’s leaves. Anubias requires very low nutrient additions to the tank and therefore does not require any liquid fertilisers to be added to the water column. Anubias Nana is a variety of anubias with much smaller leaves. Anubias Nana is more appropriate for Nano or smaller aquariums. Similarly to Needle Leaf Java Fern, Anubias Nana is also more difficult to find and often comes at a higher price. Anubias clustered around driftwood in a low light aquarium. Interestingly anubias can be grown above the water’s surface. It is also interesting to note that anubias will flower underneath the water which is strange for most aquatic plants. Anubias is definitely one of the easiest freshwater plants to care for and should be a prime choice for any aquarist wanting to begin a planted tank. Anubias does best as a middle ground or foreground plant. It is usually attached to rocks and wood in between the foreground and the larger background plants. The Amazon sword is an interesting plant that can be grown in a variety of conditions. It is definitely one of the most well known and easy to care for freshwater plants. Amazon Swords often grow very large in the aquarium and this should be kept in mind before purchasing an Amazon sword. They are perfect for the beginner because they require only a low level of lighting and a low level of nutrients to survive. However, with a high level of lighting and the addition of liquid supplements the Amazon sword will begin to grow extremely quickly in the aquarium. Amazon sword in the center, surrounded by Native Australian Rainbowfish. Notice the size of the Sword almost reaches the surface of the aquarium. They are usually a beginners first choice of plant because they are readily available at aquarium stores and usually come at a very low cost. They originated in the Amazon in central and Southern America however I today they are primarily grown in the USA and distributed to hobbyists. This is an excellent beginner plans because you can hardly go wrong. The Amazon sword is forgiving to a wide range of aquarium parameters and will definitely give you a feel for keeping plants alive in the aquarium. 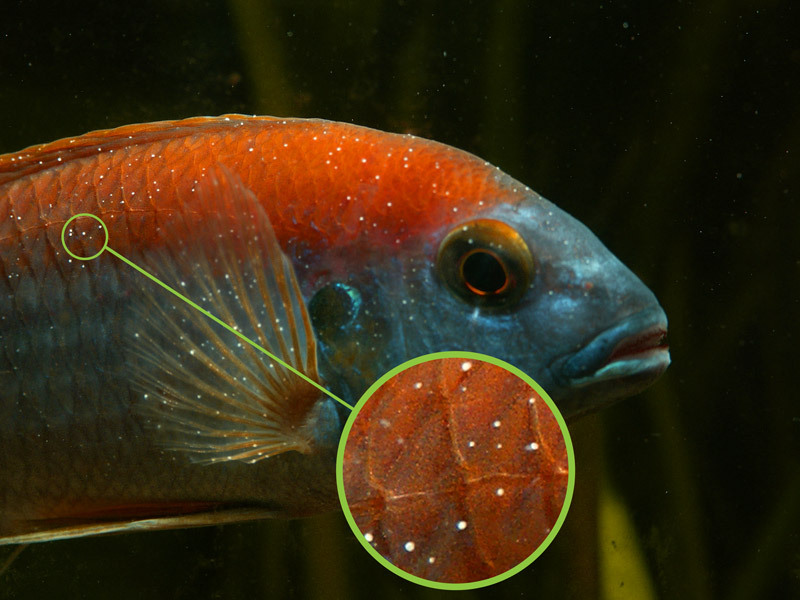 If you cannot keep and Amazon sorta live in your aquarium you will need to reject these parameters and ensure they are within the bounds of keeping plant. The Amazon sword should be kept in tropical or subtropical climates as it thrives in these conditions. A smaller amazon sword on the mid-left in the back. This plant will soon become the dominant background plant as it begins to grow, dwarfing the Rotala and Anubias. Amazon swords are usually reserved as a background plant. This is because they grow extremely large and will often fill up the entire back of the aquarium. Be sure to place them toward the back of the aquarium and regularly maintain them by clipping off dead leaves or rotting stems. Mosses are an interesting plant species that are often overlooked as a beginner plant. 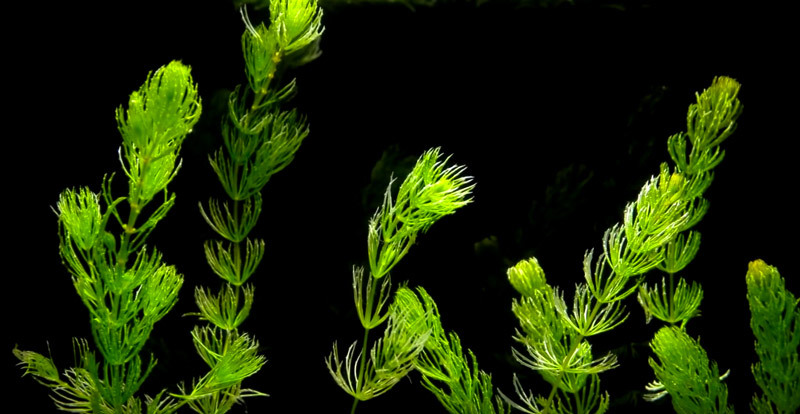 Java moss and Christmas Moss are two of the easiest freshwater plants to keep in the aquarium. They require little maintenance and little light. They are very easy to keep alive and will often propagate easily when given the right conditions. Christmas Moss decorates the top of the rocks in this hardscape. The strong lighting has resulted in a dense and clustered formation of moss. 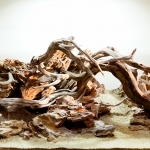 They often do best when attached to hardscape such as Driftwood, Rocks or even just placed on top of the substrate. If the tank experiences optimum conditions these mosses can begin to grow very quickly and can sometimes even overtake the aquarium. For this reason it’s usually easy to purchase moss from other aquarist because sometimes it can grow so quickly that it becomes a pest. Moss has also be used in a similar fashion in this aquarium. Java moss is usually more wiry and has less structure to its formation. While Christmas Moss will grow in distinct Christmas tree like patterns. Christmas moss will look best when grown in high light conditions and it will grow dense with beautiful fronds that flow outwards. However in low light both mosses will grow unruly and it will be hard to distinguish a pattern. 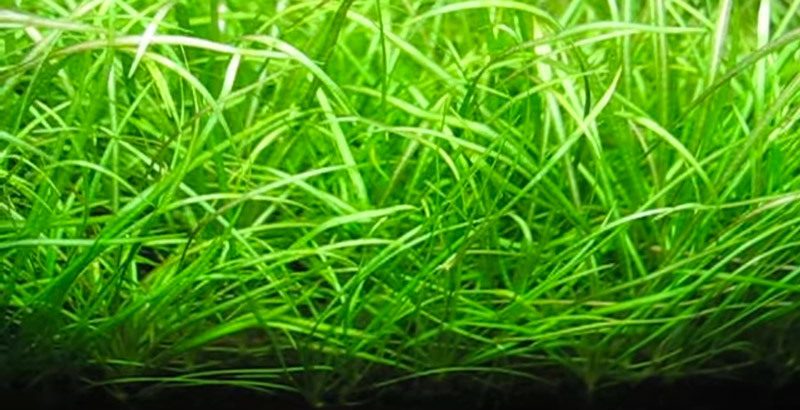 Both are an excellent choice for the beginner hobbyist and are two of the easiest mosses to keep in the aquarium. Java and Christmas Moss is an excellent foreground plant or middle ground addition to existing hardscape. Crypts are beautiful plants that are usually sold in pots in local fish stores. Crypts sometimes have a bad reputation because they ‘melt’ qucikly upon addition to the aquarium. This is because crypts are less tolerant to change than other plants in this list. They also require a slightly higher level of light than the other plants. For this reason they should potentially be left as a plant for the slightly more advanced aquarist. Regardless, they are a beautiful foreground plant that can be recognised by long slender leaves extending from a central point under the substrate. Although upon addition to the aquarium it may seem as though this plant has completely melted, the Crypt is just sensitive to change. With a little nursing, the crypt should be able to be brought back to full health as it grows it’s new root system in the aquarium. Another advantage of crypts is they can be easily split at the rhizome and propagated throughout the aquarium. They are an excellent plant for the foreground of the aquarium as they will not grow too large. Hornwort, which is also known as coontail, is one of the easiest plants to keep in the aquarium. It is usually sold in pots or simply free floating on the surface of the aquarium. It is very adaptive to changing conditions and can survive a large range of temperatures. It is also suitable for cold water tanks and outdoor ponds. Hornwort can reach lengths of up to 24 inches. Hornwort can be propagated by simply cutting the stems and letting them float around or replanting them in the substrate. It is an excellent background plant as it will grow to the height of the aquarium. The Hornwort needs little lighting and minimal fertilizer additions. In the wild Hornwort is usually found in muddy conditions attached to the substrate or free floating in bodies of water. In the aquarium either is appropriate. However it is recommended to plant Hornwort in the substrate. This will allow for your lighting to reach the plants below. If the Hornwort is left floating on the surface it may block some of the light to the underlying plants. 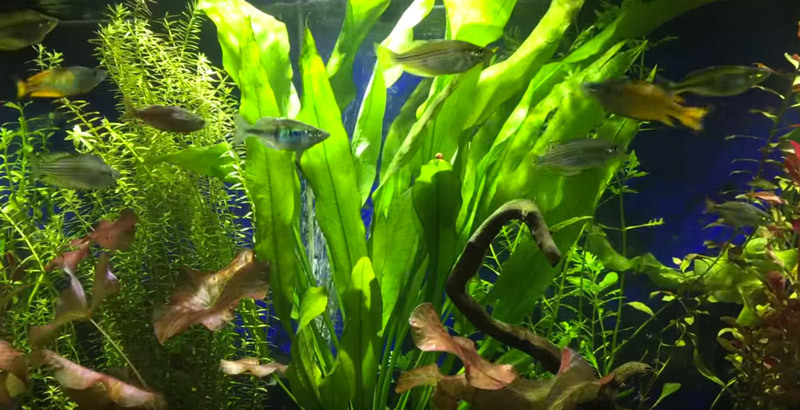 Hornwort being used as a background plant in this neon tetra aquarium. Due to it’s fast-growing nature and it easy propagation Hornwort is usually very inexpensive and a great choice for the beginner. 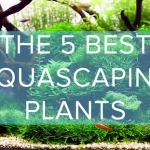 It is one of the easiest freshwater plants to grow and will thrive in most aquariums. 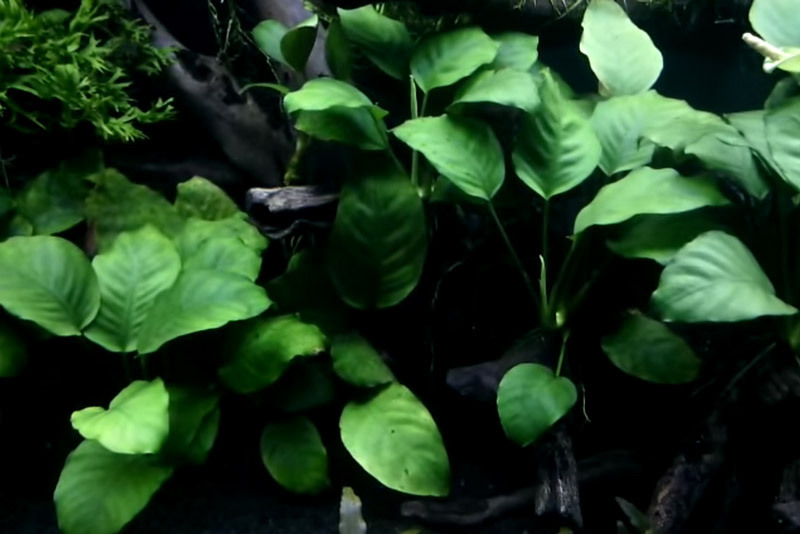 Narrow Leaf Chain Sword also known as Pygmy Chain Sword is a freshwater aquarium plant. The Pygmy Chain Sword is a good plant choice for both the beginner and advanced hobbyist. It is usually kept as a foreground plant as it does not grow very tall. In good lighting can grow into a thick mat of foliage. In lower lighting it will grow more sparse. It will be able to survive in all lighting conditions and does not require fertiliser supplementation. Pygmy Chain Sword close up. It has formed a dense foreground in the aquarium. The Pygmy chain sword is an excellent plant for beginners because it requires very little maintenance. The plant will grow runners across the substrate on its own accord. From here the plant can either be propagated or allowed to grow across the front of the aquarium forming an aesthetic foreground. Pygmy Chain Sword in a lower Light Setup. Notice the longer leaves and less dense growth. Under higher lighting conditions the new leaves of the Pygmy Chain Sword will grow a bright red colour. This stunning colouration is often the focal point of the aquarium and sought after by many aquarists. This plant is also tolerant of a range of conditions. 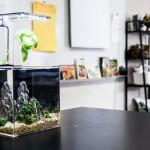 It can thrive in soft or hard water, high or low pH and a wide range of temperatures. This makes it an excellent beginner plant suitable for almost all aquariums. The Micro Sword is another plant that is very easy to keep and a great choice for the beginner. The Micro Sword is a dedicated foreground plant. It will form dense mats by continuously growing runners that will propagate the plant across the aquarium substrate. This plant thrives with the purchase of a dedicated planted substrate. Here is a link to an article that describe some of the best substrates available. However this plant can still thrive in a gravel substrate and lower lighting. With higher levels of lighting it will grow faster and thicker forming a grass base to the aquarium. Micro Sword planted sparsely in the aquarium substrate. The Micro Sword is a great choice for any level of experience. At it’s low price point there isn’t a better choice for the foreground. Especially in substitute for more difficult plants such as HC baby tears. This list is just a few of the easiest freshwater plants. 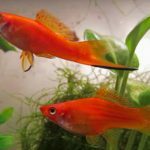 There are many more that I was suggest you experiment with and find what is most suitable for your aquarium and aesthetics. Almost all of these plants do not require fertilizer supplementation, CO2 addition or advanced lighting. Most will do well to combat algae and thrive in a low-tech setup. 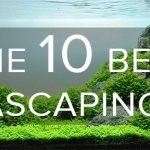 If you follow the link here it is a great resource for more advanced aquascaping plants. If you have any questions or comments about other freshwater plants, and their difficulty levels, please leave it in the comment section below and I’ll be sure to get back to you. Substrates. Please provide the link you mentioned.